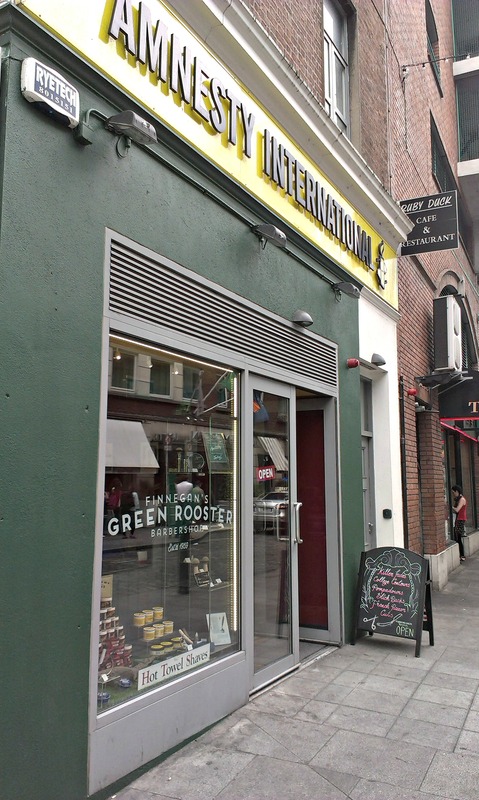 A stroll through Temple Bar (June 2014) | Come Here To Me! « Some media coverage of Dublin GAA fans and Hill 16 in the 1970s. 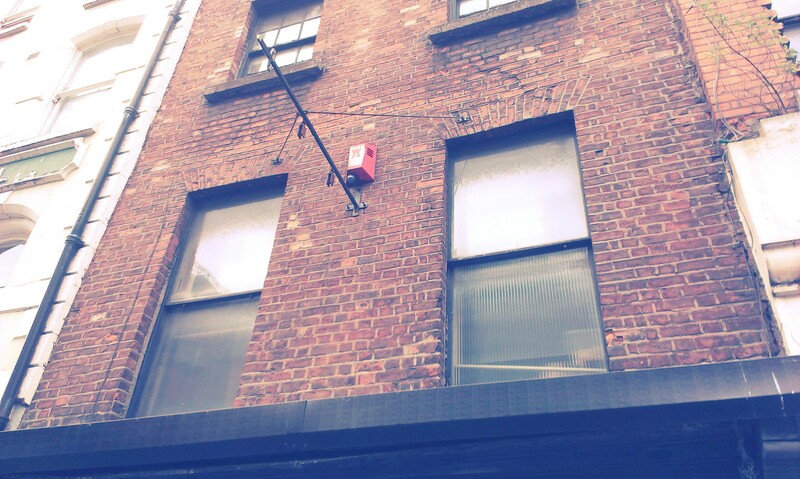 A few snaps with my trusty camera phone while having a mooch around Temple Bar yesterday. 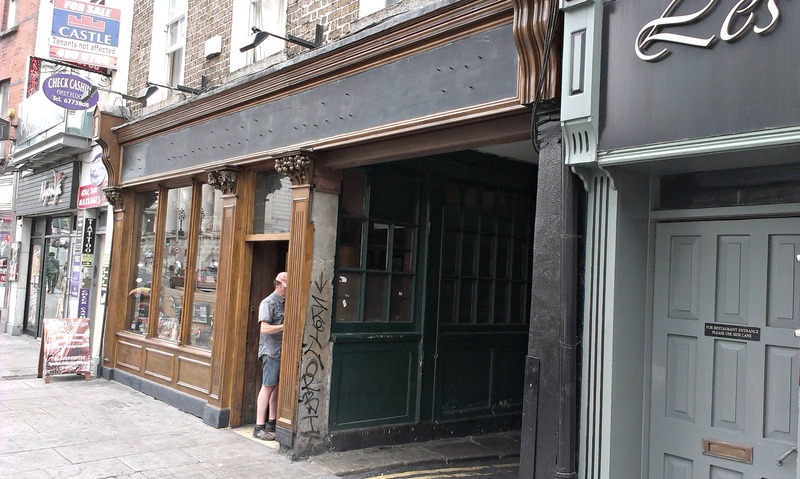 Prince’s Lane is the first lane on the right as you head down Fleet Street into Temple Bar from Westmoreland Street. 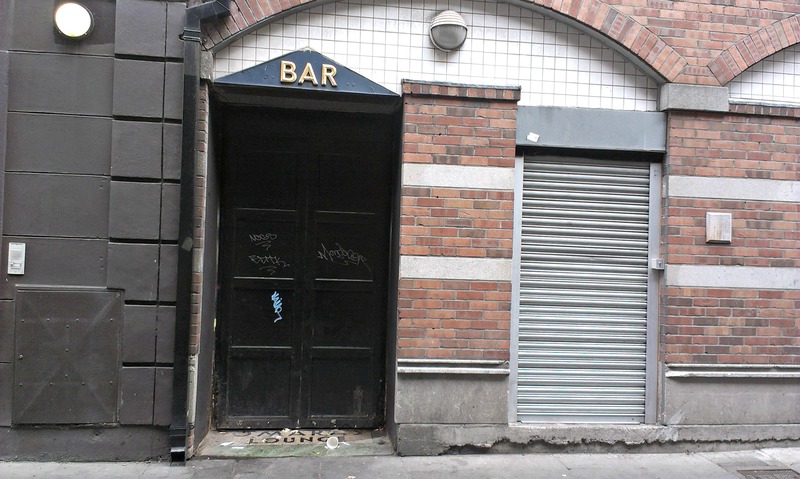 Close to the quays, I spotted this little old door with a sign above saying ‘bar’. 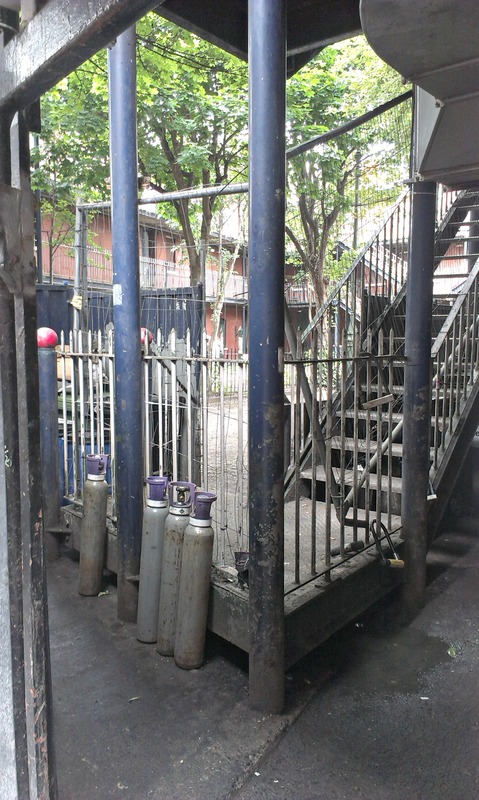 Old bar entrance. Prices Lane off Fleet Street, Temple Bar. Credit – Sam. 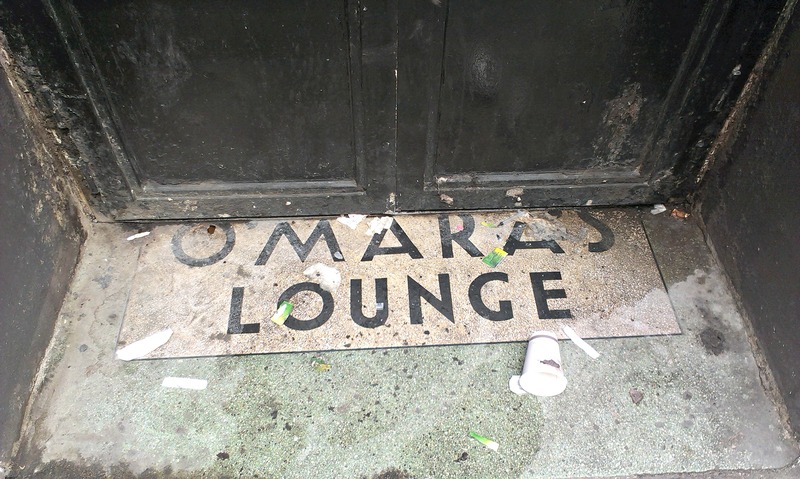 On closer inspection, an original tiled floor sign at the entrance displays the name O’Mara’s Lounge. I have not been able to find any reference to this bar/lounge anywhere online or in the newspaper archives. One of the most lovely housing complexes in the city, Asdill’s Row is receiving a much needed facelift. Built in 1891 by the Dublin Artisans’ Dwelling Company, there are 54 flats, 27 each across the first and second floor levels. For more information, check out the great Built Dublin’s post on the buildings. This is a glimpse into the building site. 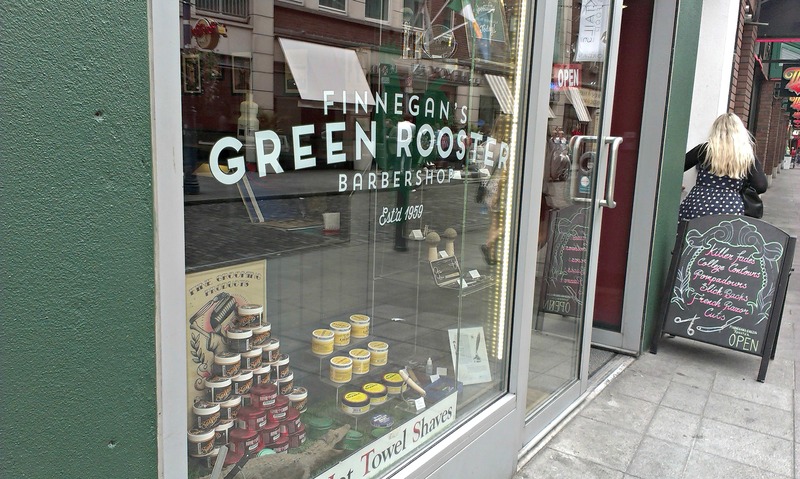 A new barbershop, Finnegan’s Green Rooster, has taken over the building which housed the Amnesty International cafe on Fleet Street. While their Facebook page says the business opened in ‘May 2014’, they’ve bizarrely claimed that the barbershop has been going since 1959. What’s the point? Who are they trying to kid? It’s a bit like ‘The Snug‘ bar, attached to Bad Bob’s, which is the self-proclaimed ‘Temple Bar’s Oldest Pub’. Estd. 1959, eh? Credit – Sam. Brogan’s pub beside the Olympia Theatre looks temporarily naked as contractors work on a new sign. 75 Dame Street used to be a gay bar called The Viking while Crampton Court (the lane down to the side entrance to the Olympia Theatre) is one of my favourite shortcuts in the city. While on my travels, I bumped into actor and City Councillor Mannix Flynn. Thankfully, he was able to inform me that the Thomas Reads sign was taken down for safety reasons and is currently being kept safe in the building itself. Signless Thomas Reads. Credit – Sam. 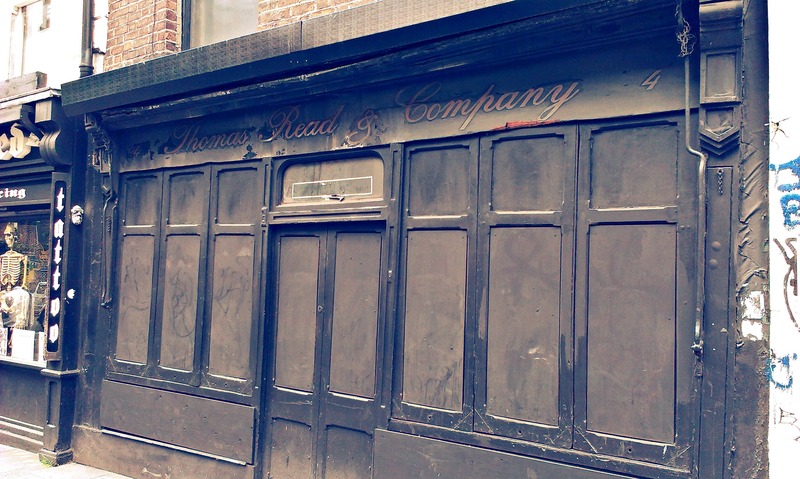 A cutlers operating from 1670 to 1997, the dusty and fading Thomas Reads building is an iconic piece of old Dublin. Let’s make sure we keep it. I presume the ‘est 1959’ refers to the larger chain of Finnegan’s Barber Shops, rather than being specific to that particular location. If I’m correct, then this is a valid claim to their date of establishment. There’s a Finnegan’s Barber Shop in Inchicore and the same family are the current proprietors of The Waldorf on Westmoreland Street as far as I’m aware. Thanks for the clarification. Makes more sense now. Going back a bit. Thomas O’Mara of 22 Aston Quay was from Moyne in Tipperary. He was buried there in 1896. Here is a link to the family grave monument inscriptions, one of which calls out Tom and the Aston Quay address.